A complete field application solution lets you increase your profits, use real-time monitoring information for better seed and fertilizer application, and reduce your costs and environmental impact all while achieving optimal plant growth. AFS ISOBUS Product Control lets you view your implement on your ISO compliant display via a virtual terminal and control your implement’s necessary functions at the touch of a finger. Compatible with these ISO enabled displays, AFS® ISOBUS Product Control supports a variety of field applications, making it a great solution for the mixed fleet grower. The AFS AccuControl crop input control system is a variable rate and section control system that utilizes the AFS Pro 700 display. Case IH AFS AccuControl manages a wide variety of applications, such as seed monitoring and mapping, auto section control, variable rate control, and more. 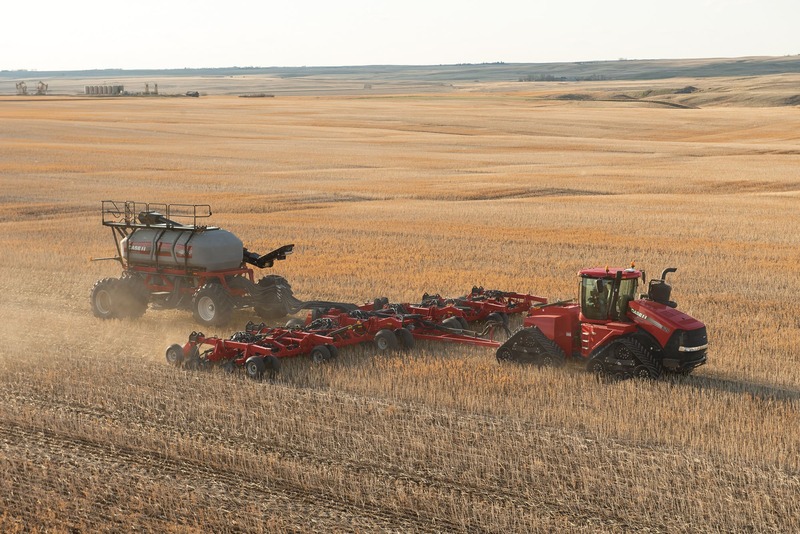 This single display solution connects a Case IH tractor to a non-Case IH implements, such as sprayers, strip till applicators, NH3 applicators and up to 48-row planters. AccuControl is also used with the Case IH Nutri-Placer strip-till applicator. The Field-IQ crop input control system is a variable rate and section control system. It prevents seed and fertilizer overlap, controls the rate of material applications and monitors seed delivery. Field-IQ™ automatic section control can control up to 48 individual rows, eliminating waste and double applications of inputs by automatically shutting off rows or sections in areas which have already been covered. The AFS ISO Task Controller can be used to control any compliant ISOBUS implement using the AFS Pro 700 display and allows for automated section control, variable rate application, mapping and additional ISOBUS Task Controller compatible implements.